Hi ladies, it’s Anna from Fash Boulevard again. As we embark on the first few weeks of autumn, the eagerness to dive headfirst into fall apparel is at an all time high. Unfortunately, for most of us, brisk weather is still quite a ways away. In the meantime, a lightweight, warm-to-cold weather scarf is an easy and stylish way to provide the winter-comfort we’re all craving. 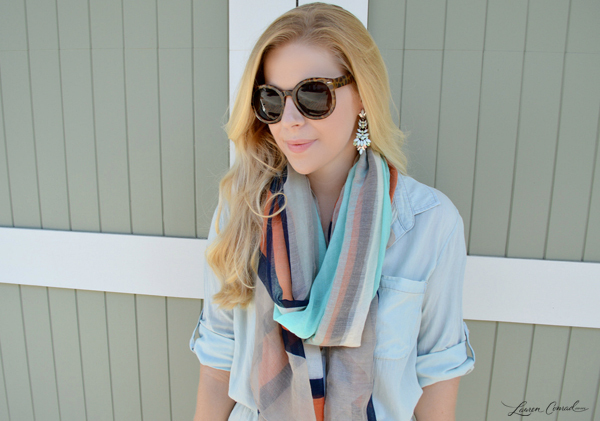 Scarves in lightweight fabrics will serve your outfit with both fashion and function. This dual-purpose accessory will always be a go-to in between seasons, so branch out when it comes to prints and colors to maximize the impact. There are dozens of ways to wear a scarf, and choosing the right style will make all the difference in making your outfit on trend. For September and the better part of October, drape yours scarves freely around your neck so that both ends fall loosely in the front. Adjust accordingly to leave a generous gap between your neck and the fabric. The longer the scarf, the better. 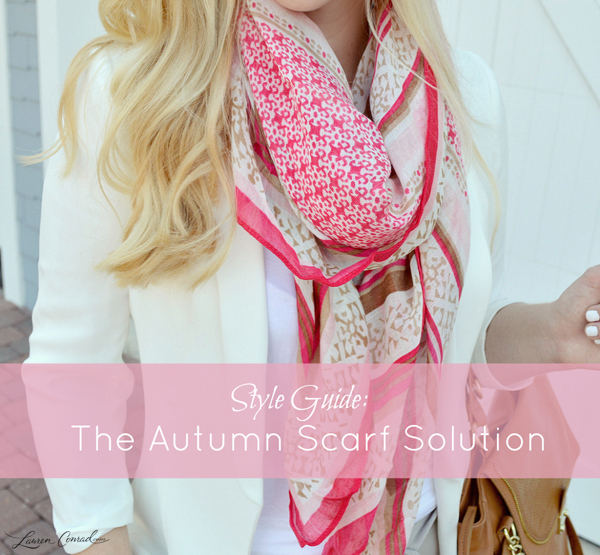 Knotting your scarf at the bottom will also provide a more relaxed visual. 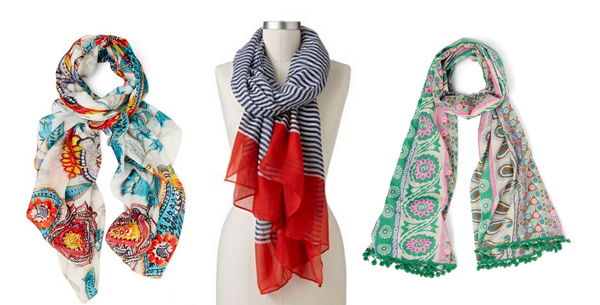 As the temperature drops, the scarves should rise, until the weather calls for a snug wrap around the neck. Until then, keep it loose. 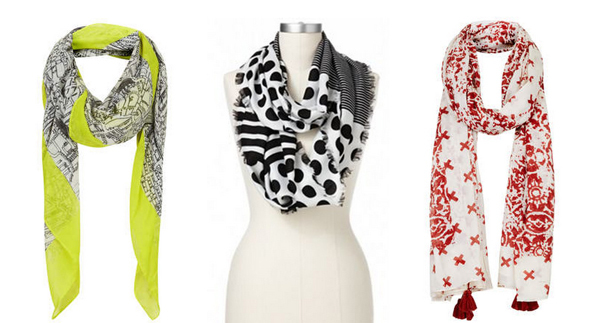 Which of these printed scarves is your favorite?